Charlie Christian style pickup for 4-string bass. The CCBass pickup uses the same kind of internal structure as all my CCBar pickups. Awg 38 magnet wire, Alnico5 un-oriented bar magnets, a wide mild steel blade. 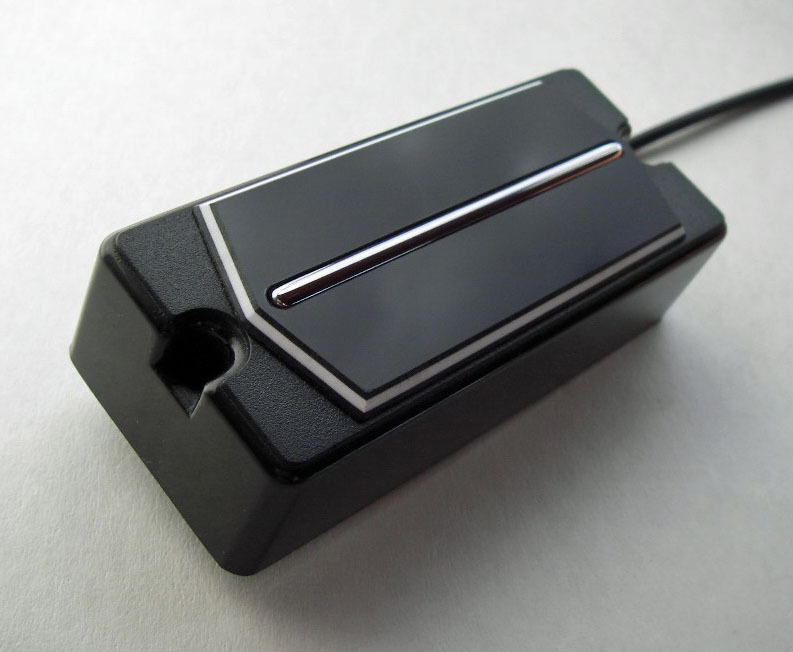 The pickup is built inside a same size cover as many active 4-string soapbar bass pickups on the market. ﻿The sound is round and warm, moderate bright but never harsh. Works great on both bridge and neck position.